Why do I have to re login after being away from the forum for a while. Other forums I participate in keep you logged in until you reboot. Is there any way to read "next unread message" in thread. If there is a new page I tend to miss the unread messages on the previous page. If I remember it requires me to navigate back to start reading. When you come back to catch up on new messages what method do you use? Everytime I try to a message after an extended period of not replying it makes me login again. I'm pretty sure I clicked remember before, I know it did just now. I'll see if that helps. I know the threads with new messages are bolded but you have to navigate manually to them and if there are multiple they could be on more than one page so you have to go back a page to check. If you have a tracking blocker or sometimes some AV software will delete cookies as well (AVG and BitDefender are notorious for this, I don't know about others). administrator and dardsa like this. I would like to be able to immediately jump to the last unread post in a particular thread. these arrows bring you to the last post. Thanks for the response but that isn't what I want. I want to have a jump to the last UNREAD post. There are many times when there are multiple new posts that span multiple pages. If you don't page back on every thread you can (and I do) mis some posts. 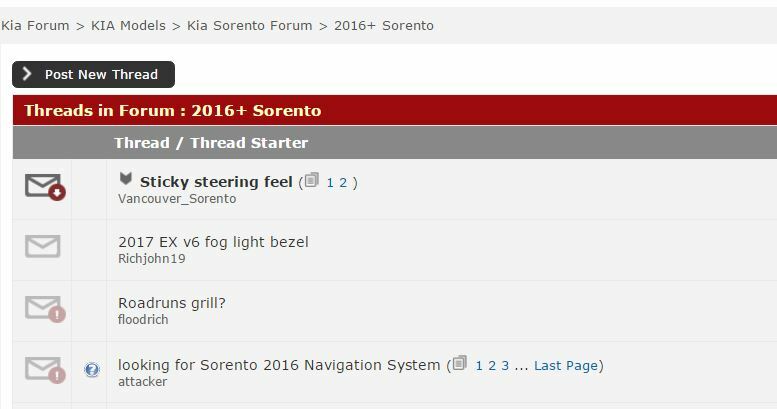 I don't believe the standard VB-forum software will only take you to the last post in the thread, and from there you'll need to scroll back. Edit: I vaguely recall a button that could in fact take you to "the last unread post" , not "the last post" as it is now. Last edited by ron1004; 02-25-2017 at 11:28 AM.